EuroScientist is the official journal of EuroScience, a grassroots association of scientists and people with an interest in science-related matters in Europe. We mainly focus on issues arising at the interface with society in Europe, including science policy. Our vision is to ensure that EuroScientist reflects the diversity of voices of scientists and those working in fields related to science and on matters related to European research. 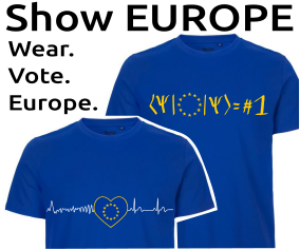 Its motto is: “European science conversations by the community, for the community.” It is a magazine designed to enable members of the European science community and others, including policy makers, to share opinions and perspectives on current issues. It also aims, to a large extend, at furthering the debate on topical issues. Disclaimer: views expressed on EuroScientist are the responsibility of the authors and do not represent necessarily EuroScience’s position. EuroScientist focuses on science policy, funding, science in society, science communication, scientists’ careers, Responsible Research and Innovation, ethics, innovation, scientists’ lifestyle, etc. and more generally about what is happening at the interface between science and society. We publish journalistic articles, opinions and expert perspectives. We welcome your suggestions for guest articles from community members on topics that you, as a reader, feel should be brought to the attention of the rest of the community. You may also make suggestion for topics of articles you would like to read about in the magazine. Find out what our supporters say about EuroScientist here. An Editorial Board, elected by and among the members of the EuroScience Governing Board, acts an advisory group for strategic decisions about the journal. Should you be interested in distributing our content, please visit this page. For general queries, partnerships or funding, please contact office@euroscientist.com. If you wish to publish or react to an article, please contact editor@euroscientist.com. If you had a problem on the website, please send your bug reports at it@euroscience.org. In order to reach the EuroScience association, please contact office@euroscience.org.